Knoll Morrison 6×6 used cubicles. 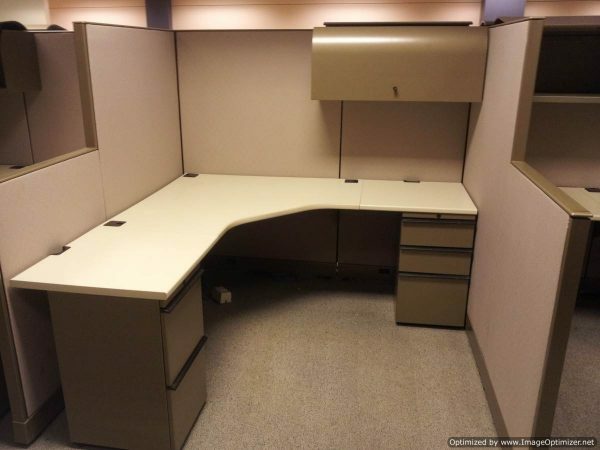 42″ corner worksurfaces with 30″ wide returns. These stations are high-low: the spine powered panels are 64″ high and so is the first panel off the spine, step-down to 54″ high. Each station has a reuter style overhead bin with light. BBF and FF locking pedestals. Good as-is condition.